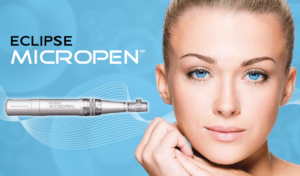 With the Eclipse MicroPen® Elite, Dr. Greene and our providers are helping patients reduce the appearance of fine lines. With this treatment we can also be proactive by treating healthy skin to prevent early signs of age from forming as quickly. The goal with this treatment is to achieve renewed, healthier-looking skin. As new skin replaces old, the appearance of fine lines can be reduced. Repeating this process several times per year and combining it with a healthy skincare regimen can dramatically improve your skin health. Our providers will help you create an individual treatment plan to maximize your results.